Starting from a new design direction first seen in the Audi Prologue Concept car the all-new Audi A6 cuts a sharper profile with acute angles, defined edges and taut, muscular contours. Its lines take the eyes on a journey, while expressive surface language shapes its character. You see a headlight. We see an opportunity for artistry and technology to function as one. The provocative shapes and bright ideas within them have taken Audi to the forefront of lighting. They say location is everything. Which is why the MMI(R) touch response screens have been set at an angle that tilts towards the driver. The infotainment system is accessed through the upper screen, while controls for the heating, ventilation and seat settings are on the lower screen. Set the mood of your drive by choosing from the 30 vivid colors of available ambient lighting. LED lights that change in color are placed throughout the cabin to outline and highlight the elegant shapes and surfaces inside the Audi A6. The new 3.0-liter TFSI(R) V6 engine features a twin-scroll turbocharger that helps the engine produce 369 lb ft of torque and 335 hp. A 0--60 mph time of 5.1 seconds certifies its sport sedan credentials. 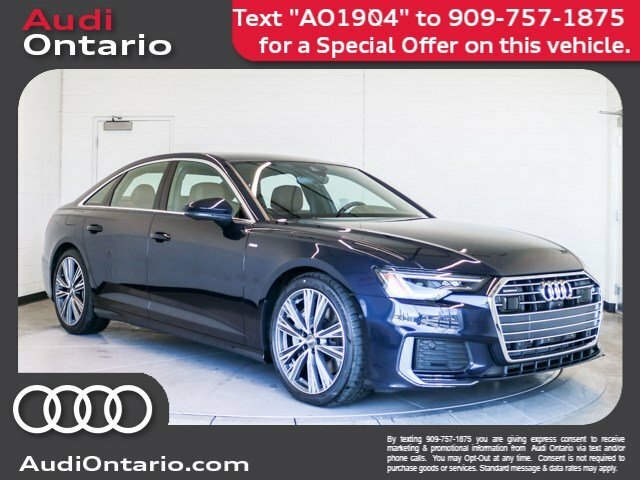 Standard on the 2019 Audi A6, the latest evolution of quattro(R) all-wheel drive can determine when to engage in all-wheel drive by analyzing vehicle data and proactively engaging the rear drive axle. Drivers can change the settings for steering effort, engine response and ride quality with standard Audi drive select. An Individual mode lets you create a personalized setting. The touchscreen comes to life by responding with audible, visual and haptic confirmation. 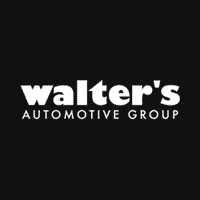 Access to the numerous infotainment options is as intuitive as the touch, scroll and swipe hand motions you use to operate a smartphone or tablet computer. Control dual climate zones for front passengers with a touch or swipe on the MMI(R) touch response system. To help keep you aware of your surroundings, the all-new Audi A6 is equipped with driver assistance systems that can alert you and help intervene with braking and steering input. 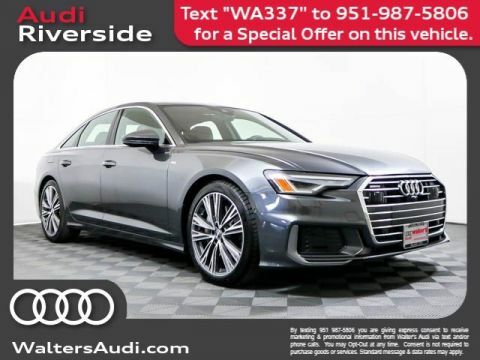 The available Audi adaptive cruise assist is a hands-on system that enhances comfort by assisting the driver with acceleration and braking as well as maintaining speed and following distance and lane guidance. 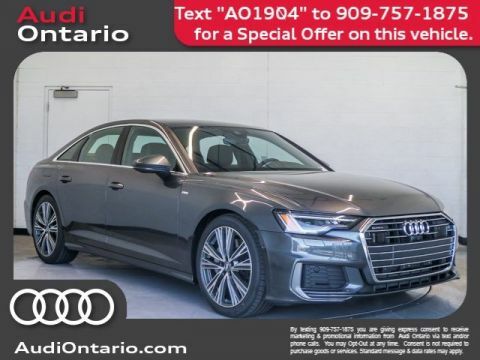 An array of sensors and cameras form an overhead of the Audi A6 and its surroundings, while available Virtual 360-degree view can help make you aware of objects and obstacles when you're parallel parking. Up to 24 sensors-including cameras, lasers, radar and sonar-monitor activity around the Audi A6 and help Audi pre sense 360 form a broad picture of awareness. 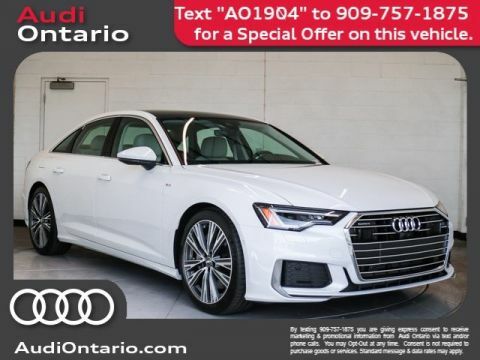 Meet your new 2019 Audi A6 in person today at Audi Ontario located at 2272 E. Inland Empire Blvd., Ontario, CA 91764.